Linda Burton posting from Madison, Wisconsin – Seen from outer space, it’s clear. 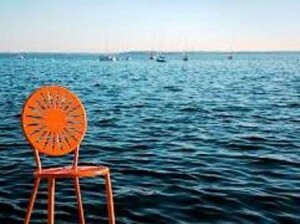 “Lake, City, Lake” is the trademark for Madison, Wisconsin and that’s just what you see – Lake Mendota, then the city, centered on an isthmus, then Lake Monona. 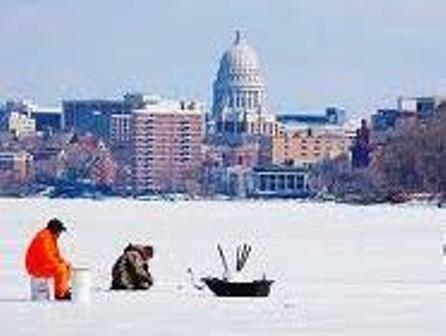 Madison is actually described as the City of Four Lakes; besides those two are Lakes Waubesa and Kegonsa; they are south of the city but part of the four successive lakes of the Yahara River. There is even a fifth, Lake Wingra; connected to the Yahara by Wingra Creek and within the city limits. So what do you do with all that water? Well, you enjoy it. The sight of it enhances everything else; it’s just plain pretty to look at, day or night. 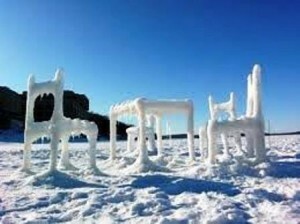 And of course you play on it, summer, winter, spring and fall. So just how did Madison, Wisconsin, a pleasant city that’s home to 233,209 (US 2010 Census) pleasant residents, have the good fortune of being estabished in such an ideal location, and being selected as the perfect spot for the capital of the state? It all started with a man by the name of James Duane Doty (1799-1865), an ambitious fellow from New York who had some good luck, and some bad. 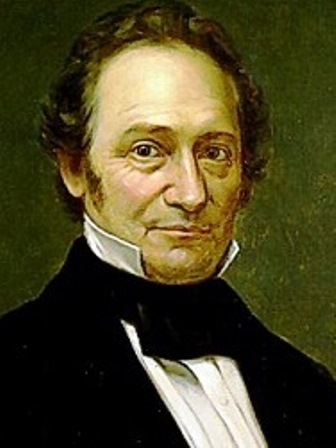 He headed west at a young age, settling in Detroit in 1818, where he began practicing law. In 1820 he participated in an expedition led by Michigan Territory’s governor, Lewis Cass, to the headwaters of the Mississippi River; that brought him some recognition and gave him a taste of the wilderness further west. President James Monroe appointed him to a federal judgeship; that brought him to Green Bay in 1824. Well aware of the travel hazards between the west and east sides of Lake Michigan, Doty petitioned Congress to split Michigan Territory into two parts. Doty argued that votes sent by residents west of the lake could not reach Detroit in time to be counted, and that Lower Michigan residents cared little about anything happening west of Lake Michigan. It was 1835 before something happened; the Governor of Michigan Territory created a separate legislature for the western side of the territory. Doty campaigned to represent western Michigan Territory as a delegate in Congress, but he lost. Bad luck led to good, for him; that’s when he turned to land speculation and bought thousands of acres of land, including a certain swampy, forested, isthmus. A separate Wisconsin Territory was finally created in 1836 and Doty hoped to be territorial governor; alas, President Andrew Jackson appointed someone else. 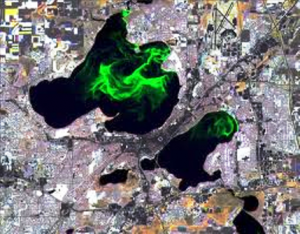 Doty wholeheartedly turned his attention to his land then; he had it surveyed and platted, and made plans to create a city on that isthmus, between Mendota and Monona lakes. He also did a little marketing – he lobbied the new territorial legislature to select his proposed city as the capital of Wisconsin. There was already a temporary capital at Belmont, but it was a great distance from Milwaukee and Green Bay, and many of the legislators didn’t like the facilities there anyhow. 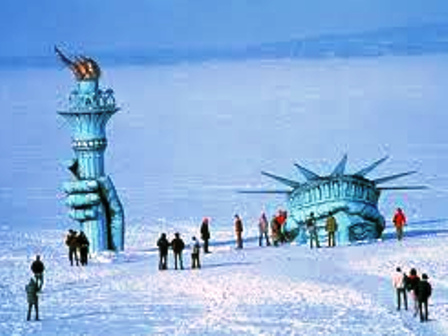 Legend has it he offered warm buffalo robes to the legislators, and prime waterfront lots in the new city. Factually we know he named his “city on paper” Madison, after President James Madison, who had just died; he named the streets after the 39 signers of the constitution; and he promised canals and railroads. 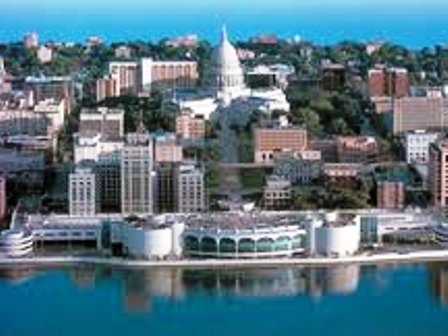 On November 28, 1836, the legislature officially adopted the “paper city” of Madison as the capital. It is recorded as the choice because it was the most central location of the population centers of the time; but hey, maybe the buffalo robes helped; it does get awfully cold in Wisconsin in the wintertime. 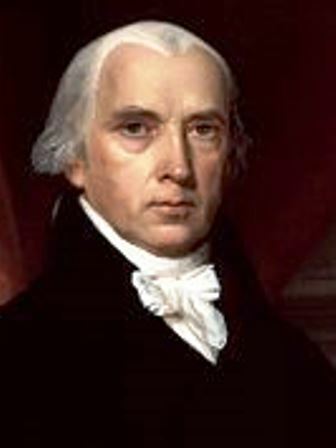 Surely the name itself – Madison, and not Dotyville – helped draw votes, as James Madison was a much admired founding father. Things began happening fast; the cornerstone for the new capitol was laid in 1837 and the first legislature met there in 1838. The plat of “Madison” was officially registered October 9, 1839. By the time it was incorporated as a village in 1846, it had a population of 626. Things were going well for Doty; he was elected as Wisconsin Territory’s congressional delegate in 1838, and in 1841 was appointed Governor. But his governorship was not particularly successful, mostly because he was unable to get public support for Wisconsin statehood; when his term ended in 1844 he was not reappointed. As he had done in the past, after a political disappointment he turned more attention to his land. 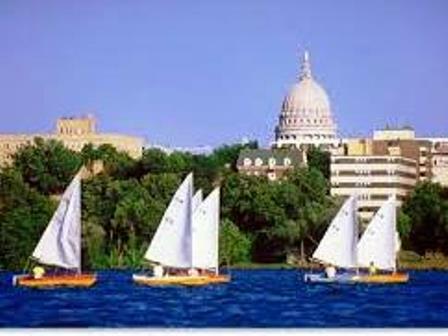 Madison continued to grow and Wisconsin finally achieved statehood; it was admitted to the Union May 29, 1848 as the 20th state; of course Madison remained capital. It also became the site of the University of Wisconsin, and a railroad line came in. 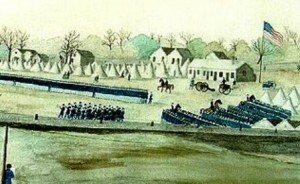 When Madison incorporated as a city in 1856, it had a population of 6,863. During the Civil War Madison was a center for the Union Army in Wisconsin. 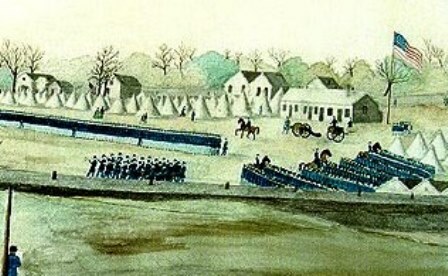 In fact, the intersection of Milwaukee, East Washington, Winnebago and North Streets is known as Union Corners, because a tavern located there was the last stop for Union soldiers before heading off to fight. Camp Randall, on the west side of Madison, was a training camp, military hospital, and prison camp for Confederate soldiers; after the war the site was absorbed into the University of Wisconsin campus. 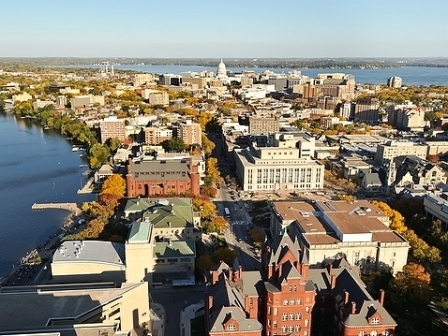 Today the University of Wisconsin main campus takes up 933 acres of Madison, partly on that isthmus on the shores of Lake Mendota; where over 42,000 students enjoy priceless water views. They can also see the capitol dome from there, it’s just a mile away. That 1837 capitol building was replaced in 1863; the second capitol burned in 1904; the current capitol was built between 1906 and 1917. It’s hard to miss; at 284 feet 5 inches, it’s only three feet shorter than the national capitol in Washington DC and a 1990 state law prevents any building within one mile from being taller. The capitol is truly the heart of the city, sitting on almost fourteen acres in the middle of Capitol Square; city life revolves around it. More on the University, and the capitol building, in separate posts. 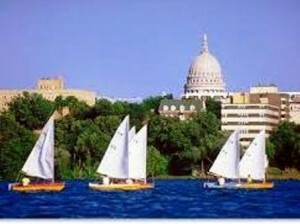 According to the US Census Bureau, Madison has a total area of 94 square miles, of which 77 are land and 17 are water. Which brings me back to those lakes. 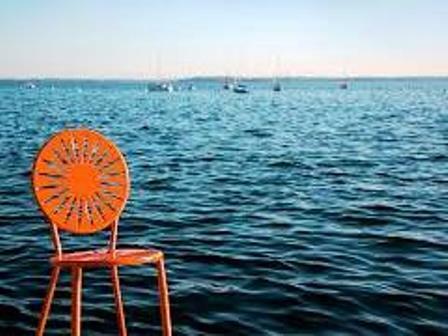 Much of Lake Mendota’s shoreline has expensive luxury homes and condos; but there are also protected natural areas and parks, the University campus, and some hotels and restaurants. There are several boat launching sites and two major marinas; a typical summer day brings out the water lovers engaging in fishing, water-skiing, wakeboarding, tubing, canoeing, wind- surfing, kayaking, and sailing. 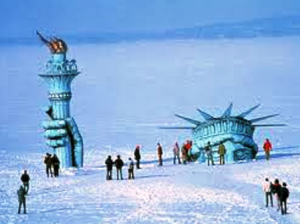 Lake love doesn’t stop in the winter; with an average freeze date of December 20, the lake becomes the scene of ice-boating, ice-skating, ice fishing, cross country skiing, ice hockey, snow kiting, and sometimes a little politically humorous fun (see sinking statue). Lake Monona forms the south shore of the isthmus; the name ‘Monona’ is a Chippewa word believed to mean ‘beautiful;’ about 40% of its 13 miles of shoreline is publicly owned. 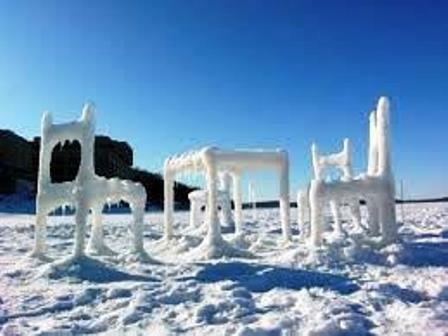 It is typically frozen about 107 days a year; as home to many species of fish, it is very popular for fishing year round; bluegill, lake sturgeon, largemouth bass, muskie, northern pike, and walleye are the prize. The Yahara River, which flows through all those lakes, runs for about 62 miles total, emptying into the Rock River, a tributary of the Mississippi. As for James Duane Doty, he went even further west. In 1862 President Lincoln appointed him Superintendent of Indian Affairs for Utah Territory. Doty negotiated treaties with the Shoshones and restored relations between the government and the territory’s Mormons. And don’t you know this made him smile – he became governor of Utah in 1863. Doty died on June 13, 1865, and was buried in Salt Lake City. He seemed to have a thing for cities by lakes.